Then not too long after Les’ home going, my Mother passed away from cancer. This was truly a shock to us because she had always been in such good health. I believe it shocked Dad most of all; shortly after her death, his mental abilities began to decline more rapidly and now I care for him at home. What a reunion there will be when Dad joins them in Glory! blesses and you folks continue to support us with your prayers, finances, and gifts in kind. Thank you to all of you who have given your clothing, food, and household items. We have been able to put together some beautiful loads to take to the reservations and thank you, too, for your financial support. You keep our wheels rolling! Most of all, thank you for your prayers; we would not be able to do what we do without them. whose enterprise has made them rise above the guys who criticize. Spend your time counting your blessings not airing your complaints. The lost are depending on the saved. We must obey God’s leading in our lives. If we do not give the lost the good news of salvation, no one else will. “Fear not” is recorded in the Bible 365 times. Once for every day of the year. Give your entire attention to what God is doing right now. And don’t get worked up about what may or may not happen tomorrow. God will help you deal with whatever hard things come up when the time comes. How thankful we are for the Teammate who donated the 1993 Ford Explorer, Eddie Bauer Edition to us. 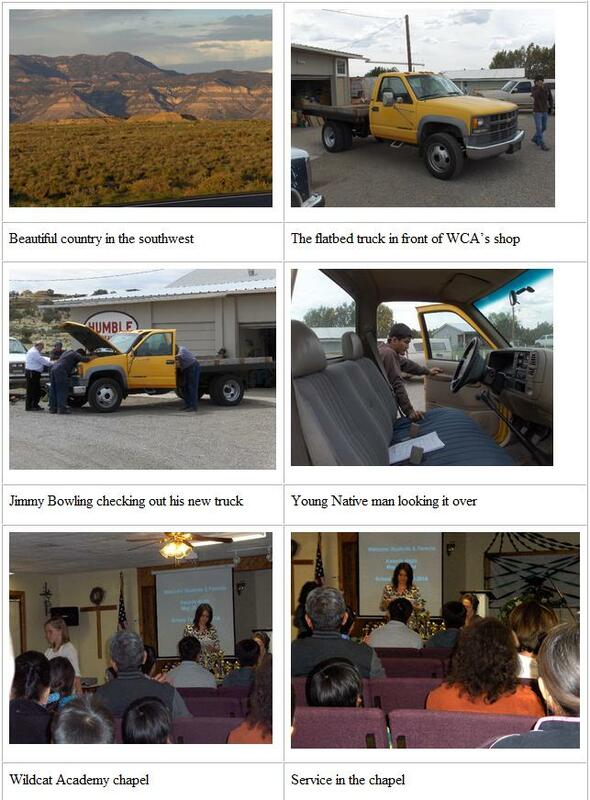 We were able to give it to Robert and Michele Anguilar in Wolf Point who needed it, and as you can see from the pictures below, they were so grateful. 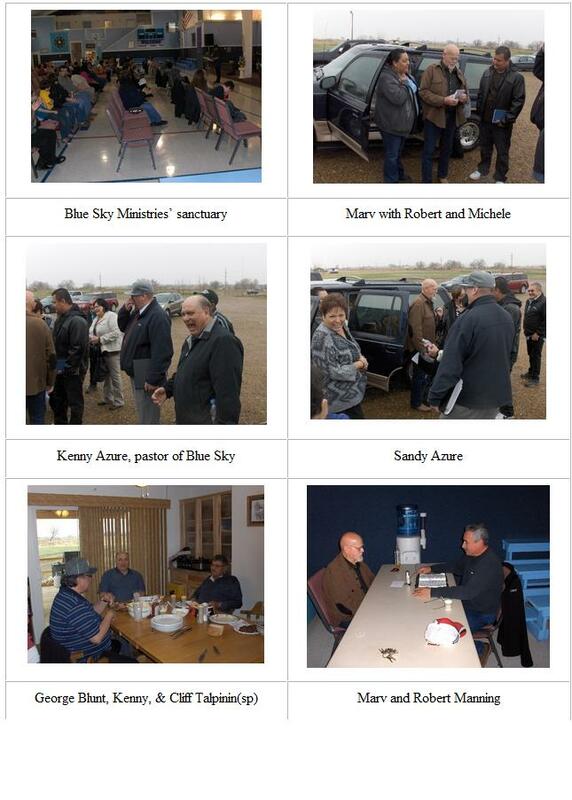 Marv got to spend time with Kenny and Sandy Azure, pastors of Blue Sky Ministries and George Blunt, an Elder in the church. A while back we took furniture to George so he could furnish a rehab house. Also there was Clifford Talpinin (sp). He travels down from the Muskeg Lake Reserve in Canada to attend Blue Sky Church. How fortunate we are to only have to travel a few miles to get to church! 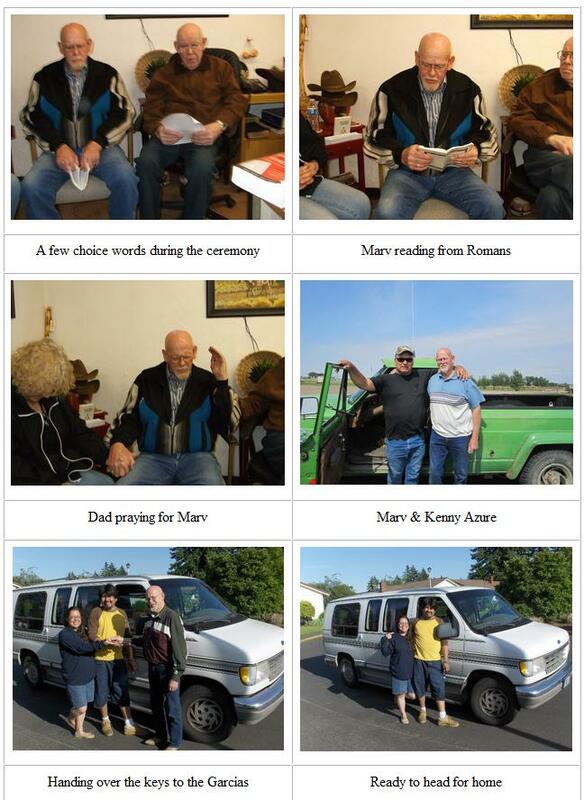 If you have listened to the radio broadcasts, you heard Robert Manning’s testimony; what a blessing!